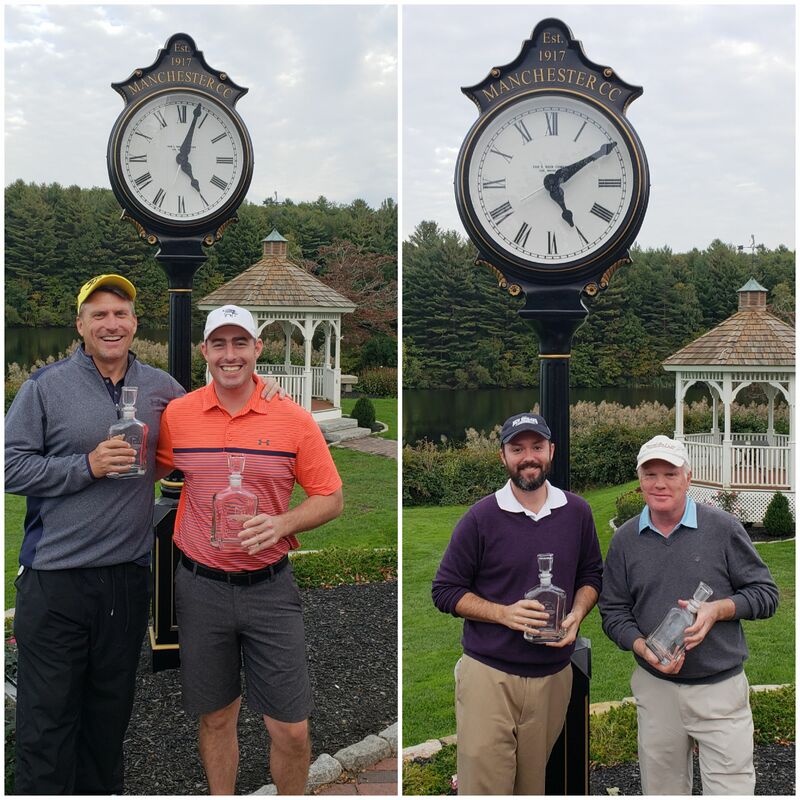 Pat Griffin (Blue Fox Run GC) & John Annear (Indian Hill CC) set a tournament record (62) to win the 5th Annual Alex Hackney Cup at Manchester CC. Pat made 5 birdies on the front nine to turn at 5 under then added birdies 10, 11 and 17. John made birdies at the Par 5 14th and Par 4 16th to cover Pat’s only 2 bogeys in route to a team 10 under (62). Steve and Peter Alminas carded a 7 under 65 along with Manchester’s Nick Waddington and his father Derek. The two teams were preparing for a sudden death playoff minutes before Pat and John turned in the tournament record 62. 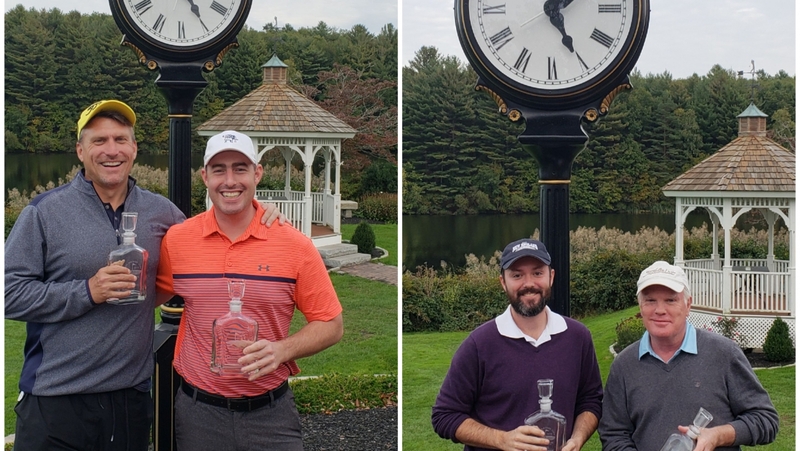 Derek and Nick earned the 1st Place Net honors with a Net 61, one shot better than Manchester CC’s Pat Peltier and Kraig Moody (62). CLICK HERE for scores and results from the 2018 Alex Hackney Cup.